BIG CYPRESS — The gas is flowing at the newly opened SemFuel gas station on Josie Billie Highway in Big Cypress, making the reservation a gasoline desert no more. 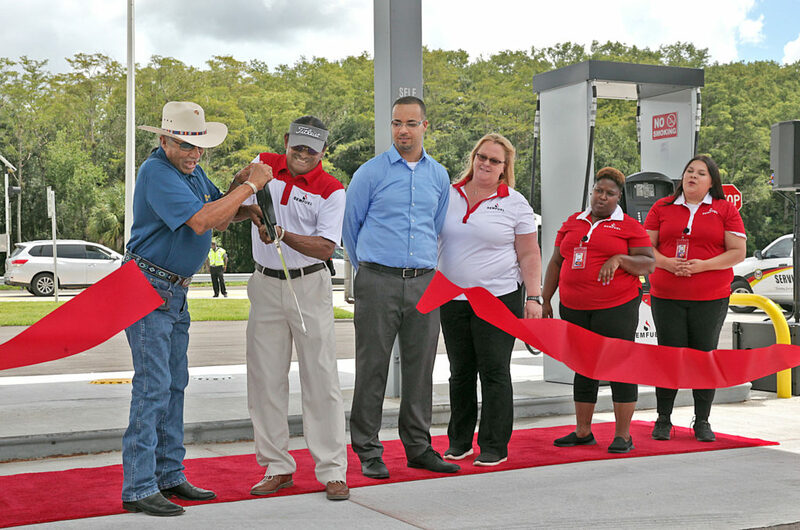 Customers waited for officials to speak and the ceremonial ribbon to be cut Aug. 20 before they drove up and filled their vehicles on opening day. 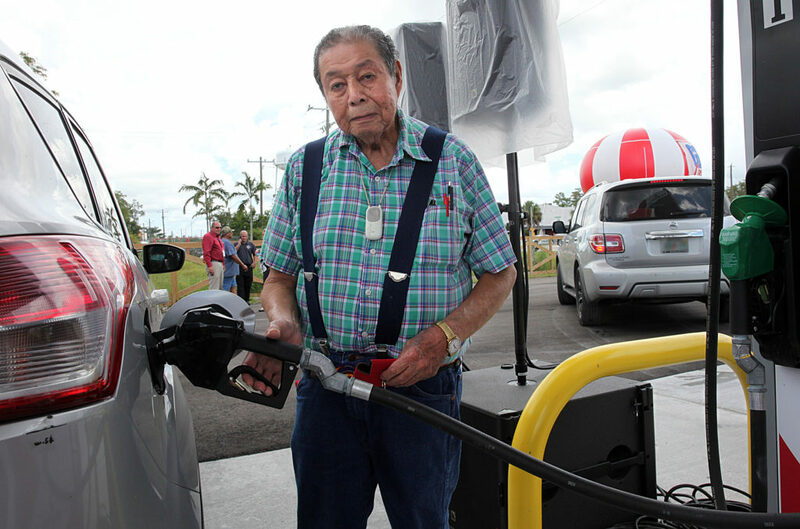 It had been two years since residents of Big Cypress had easy access to gas. 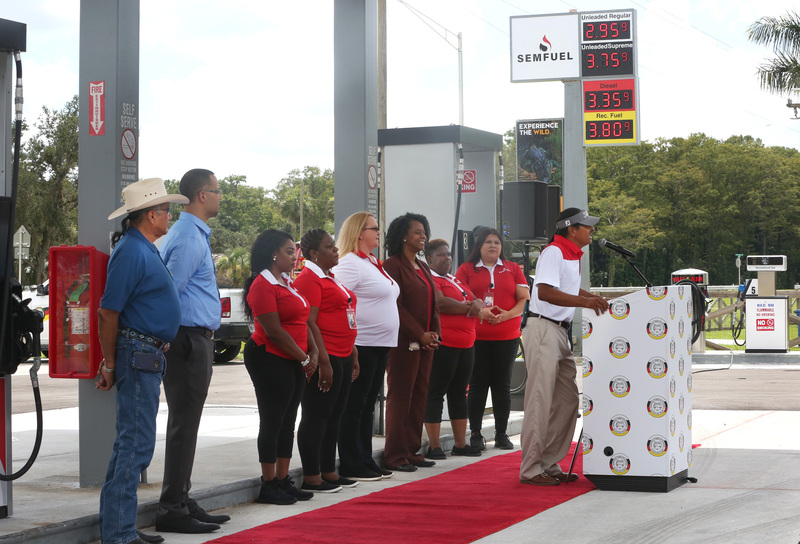 Prior to the opening, the closest gas was the Miccosukee station at Snake Road and I-75, about a 20-mile drive. When Councilman Tiger was elected in May 2017, Tribal members in BC asked if he could get a gas station open on the reservation. He said he would try, and just over a year later, SemFuel is open for business. Seminole Petroleum, a Board business, supplies five types of gasoline to SemFuel: regular, mid-grade, premium, diesel and Rec 90. 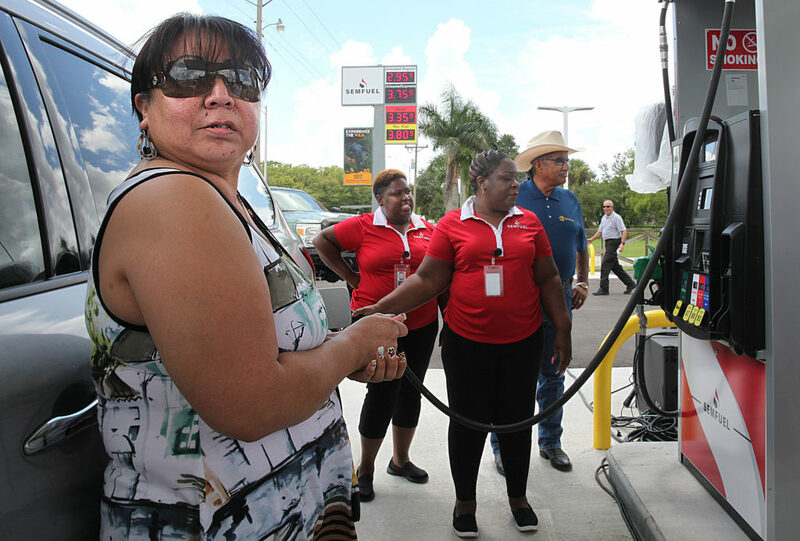 Veldina Osceola was first to get gas during the grand opening festivities. It was fitting since her father Roy Nash Osceola built the first store on the very same site many years ago. Her brother Raleigh put in gas pumps in the 1990s. The atmosphere at the SemFuel grand opening was festive. Swamp Water Cafe served lunch, country music played on the loudspeakers and, as each vehicle filled up, SemFuel and Executive Operations Office employees applauded heartily. The hours at SemFuel are Monday to Saturday 7 a.m. to 6 p.m. and Sunday 9 a.m. to 5 p.m.